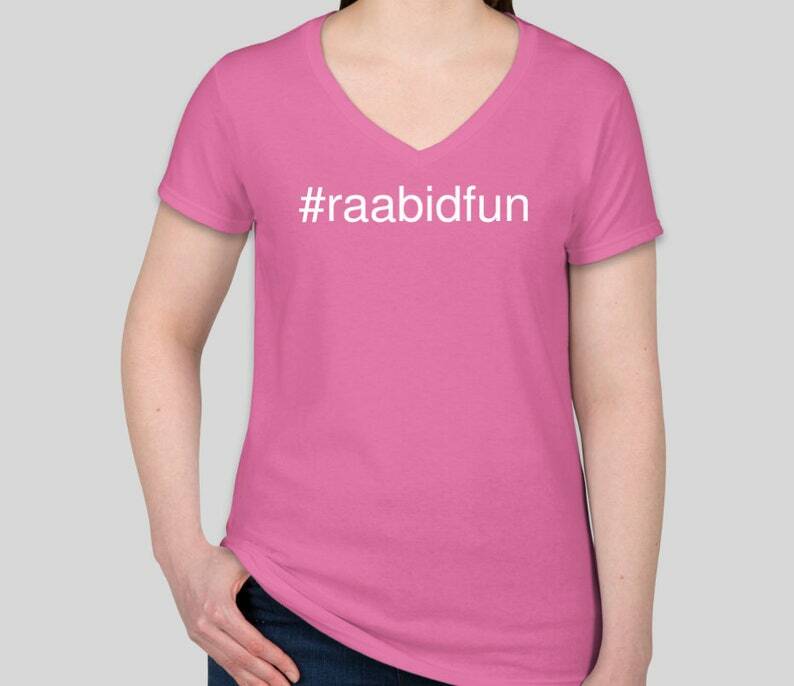 100% Cotton Gildan Short-Sleeve V-Neck T-shirt with #raabidfun printed in white. Purchases of these T-shirts helps to pay for the manufacture of these T-shirts. Also: this store and #raabidfun are completely unaffiliated with Brexit Secretary Dominic Raab. Also credit to the folks at Gildan for coming up with these color names.